A police helicopter that was reportedly monitoring the protests and violence in Charlottesville, Virginia has crashed in a wooded area, killing two people on board. Virginia State Police identified the two people who died in the crash as the aircraft’s pilot, Lieutenant H. Jay Cullen, 48, and Trooper-Pilot Berke M.M. Bates. Cullen left behind a wife and two sons. The helicopter crashed near Old Farm Road in Albemarle County, which is just outside the city. "Shortly before 5 p.m. today (Aug. 12), a helicopter crashed into a wooded area near a residence on Old Farm Road. There are two confirmed fatalities," Virginia State Police said in a statement on Facebook. Fire units and police were dispatched to the scene. 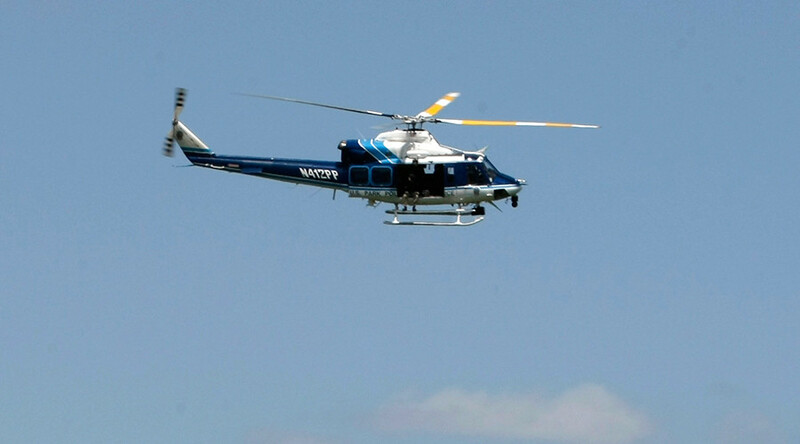 Witnesses CBS19 News that the helicopter went down in the woods, and that a strong smell of burning was in the air. Police have sealed off the area. A photo on Twitter claimed to be taken at the scene shows a large fire amid the trees. Earlier, a video taken from a nearby golf course showed black smoke rising from the area. The helicopter was seen hovering at a low altitude over the houses before the crash occurred, witnesses told the Richmond Times Dispatch. US President Donald Trump expressed his condolences to the families and colleagues of the police officers killed in the helicopter crash. “Deepest condolences to the families & fellow officers of the VA State Police who died today. You're all among the best this nation produces,” Trump wrote on Twitter. 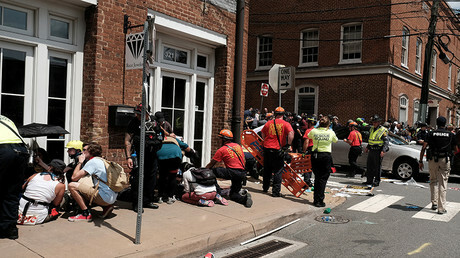 The incident took place amid a state of emergency in downtown Charlottesville, which was initially imposed after clashes at the “Unite the Right” rally between alt-Right protesters and counter-demonstrators. An apparent car ramming attack then took place at the rally, with a vehicle filmed plowing into the crowd at full speed. It reportedly hit at least one other vehicle before reversing rapidly away from the scene. One person was killed and at least 19 injured in the incident, which police have been handling as a homicide.